Tyto Software Pvt. Ltd. provides business-ready, cutting-edge software automation products. Sahi is their flagship product for automation of web application testing. Founded by the creator of Sahi, Tyto Software helps organizations save cost through automation of their testing processes. Bangalore – September 15, 2015: Tyto Software, creators of Sahi OS and Sahi Pro, is pleased to announce that it has been selected as a finalist for TESTA (The European Software Testing Awards) in the “Best Test Automation” category. TESTA, an independent awards program promotes best practices and innovation in the software testing and QA community, and celebrates outstanding companies and individuals in the software testing market. Tyto Software, creators of Sahi OS and Sahi Pro, announced launch of Sahi Pro 6.1.0, the most user friendly functional test automation tool in the market. Sahi Pro is used by more than 400 enterprise customers around the world. Sahi Pro 6.1.0 adds enhancements to its core engine with support for HTML5 technologies like shadowDOM, custom HTML tags and WebSocket support, allowing testing of applications built from modern web frameworks. Sahi Pro 6.1.0 improves productivity of the automation specialist, with enhancements in the Sahi Script Editor. Error detection, Function Discovery, Debugging, Find Usage, Find and Replace are some of the productivity enhancing features that have been added. 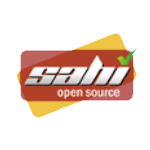 Sahi Pro V6.0.0 is released and is now available for download. The focus of this release has been tester productivity enhancement. Some of the key features added are: new Script Editor, better jenkins integration, browser and element level screenshots, APIs for comparing images, better reports, support for globally included global_include.sah file and many more. Sahi Pro Version 4.5.1 has been released and is now available for download. This release contains significant bugfixes. Please upgrade to this version if you are using Sahi Pro V4.5.